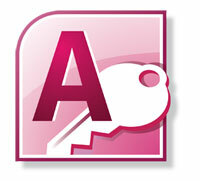 Access Recovery Tool is a reliable solution to restore damaged MDB files of MS Access. It scans your corrupted database, fix the error and repair them. The software recovers all the components such as macros, modules, reports, forms, indexes, relations etc. What Makes The Tool Excellent? Scan & recover damaged (.mdb, .mde, .mdw, .mda, .accdb, .accde). Support Access Version 2010, 2007, 2003, 2002, 2000, 97, 95 and 2.0. Demo version of Access Recovery Software previews of all recovered content of Access database file. However, the reasons due to which corruption tends to take place on an Access database are almost similar and avoidable with the implementation of some very simple steps too, at the right moment. Size: Access databases are limited to storing only up to 2 GB of data, which clearly means that exceeding the limit would result in catastrophic consequences. Power: Power brownout during database processing can also lead to damage of its contents making it inaccessible for future use. There is a high chance that the database may not function properly or would completely become unavailable. Service Packs: Not updating the application can lead to malfunction leading to its crash, which is possible to take place while the database is being processed or in use. This may result in making the database become corrupted. In addition, keeping the application updated with the latest service packs and patches is important in keeping its functionality smooth. Access DB recovery tool is built to serve complete recovery of databases affected by such hazardous situations. The application is capable enough to recover database corrupted due to any case of damage, i.e. a result of malware intrusion, exceeding defined file size, failure or crash of application, power brownout while database is being accessed/processed, and more. Trying the demo version of the software is advised beforehand to ensure familiarity with the application interface and features along with its functionality. Only the recovered copy of database can be previewed and not saved using the trial version. The limitation can be eliminated by upgrading to the licensed version of Access Recovery tool.